The day has finally arrived. 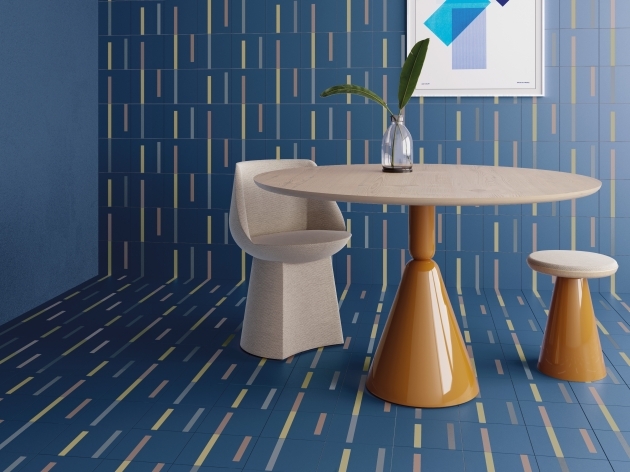 We've known of the 2019 Surface Design Awards shortlist for a while – now it's time to reveal the winners. 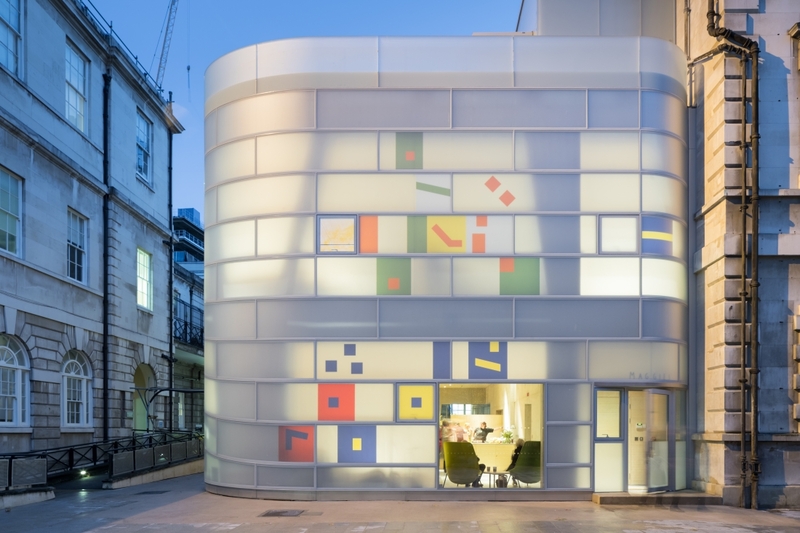 Hailing the best and most impressive use of materials in, and on, architectural projects from around the globe, the annual event has declared the beautiful new Maggie’s Centre Barts, London as Supreme Winner, capturing the judge’s hearts and minds. A beacon of design in the charity sector, the building by Steven Holl Architects was shortlisted in the Public Building Exterior category, gaining acclaim from the judges, including Christophe Egret, who stated: "You really feel that a person dealing with cancer might feel elevated in this space". Across 13 categories entrants to the Awards comprised a whos-who in architecture and design from around the world. Zaha Hadid Architects, Steven Holl Architects, Studio Egret West and Chris Dyson Architects from the UK, Rockwell Group from the USA, and Kengo Kuma & Associates from Japan were among the shortlist. 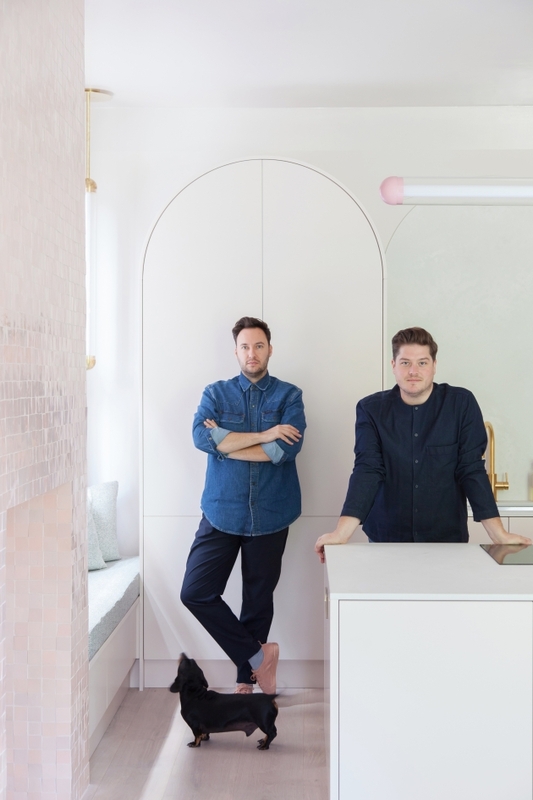 Launched five years ago, the Awards have grown year-on-year to become one of the most respected accolades in the design awards realm. 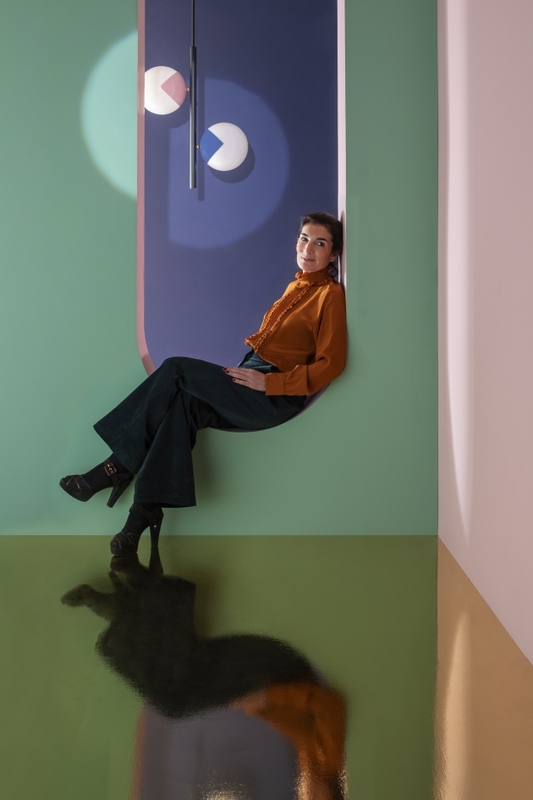 The 2019 shortlist consisted of an impressive 43 projects from nine countries, each entry an exemplary example of creative and innovative use of materials and lighting in both interior and exterior schemes. Some projects won nominations across several categories, resulting in 48 finalists. Other 2019 winners include the Aesop Flagship Store by Clayworks & Snohetta for the Retail Interior category. 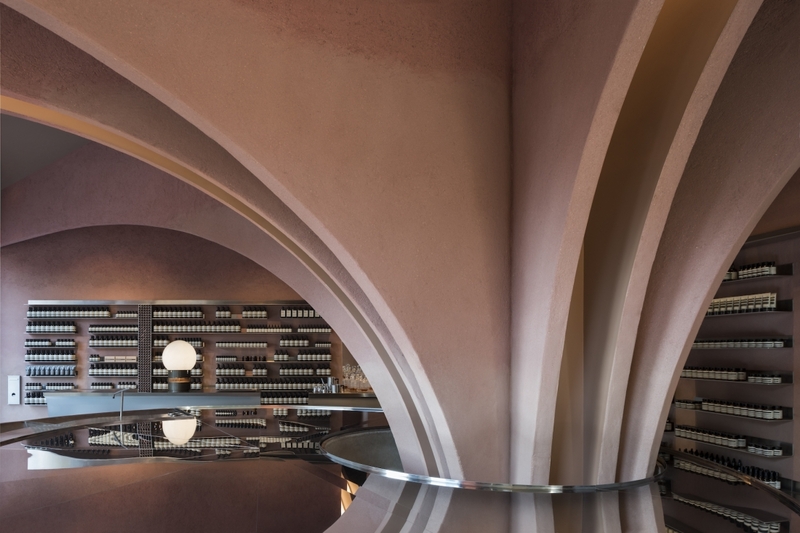 Noted for its exceptional use of a single material, the sweeping arches that define the space are finished in beautiful, tactile Clay Plaster. The colouring and texture of the plaster were chosen to relate back to the body and create a soft, human feeling for the skincare brand. The Lava Stone Shopfront took the judges by surprise, as it dawned on each that the project was a Nando’s restaurant. 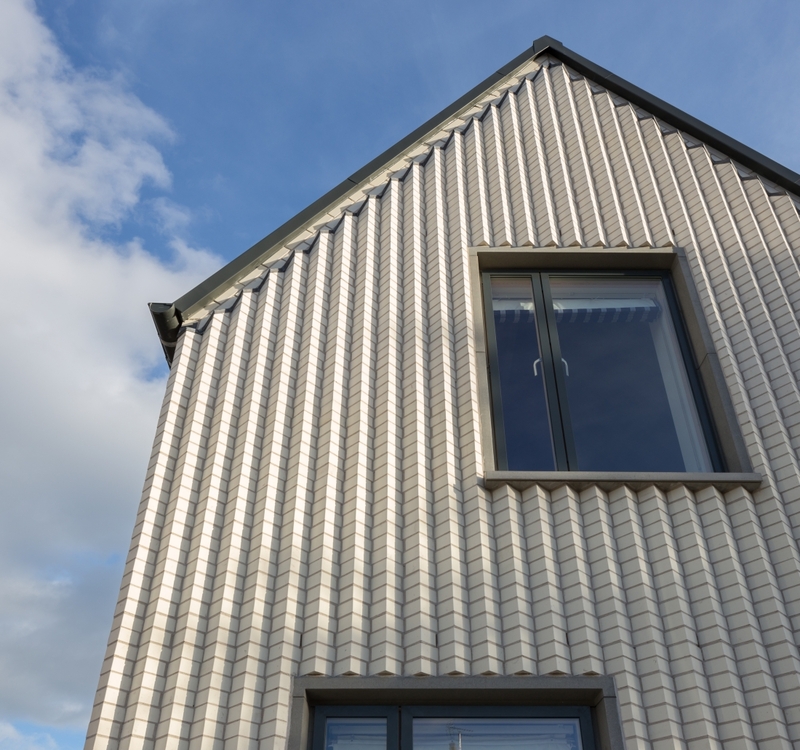 STAC Architecture created a handsome exterior using a 3D tile tessellated ingeniously to avoid the need to cut a single tile and avoiding any material waste. Judge Jeremy Offer said simply: "It’s lovely – I really like this!" The tranquil Writ in Water project took the Public Building Interior award. Studio Octopi worked with Mark Wallinger on this project, which aims to embed itself within the landscape in which it resides. Strictly speaking an artwork, Writ in Water is an immersive space in which visitors can contemplate around a reflective pool text drawn from the Magna Carta. 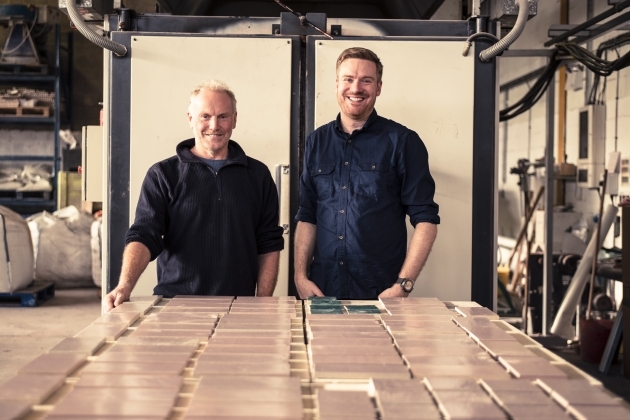 Various judges opined the sensitive layering of concrete to form the main structure, while Paul Priestman commented: "I think this would be magical." Scooping the winning place in the Commercial Interior category, The Veil by Giles Miller Studio and Orms is a 17-metre solid brass sculpture embedded in an entranceway that allows light into the space and enables occupants to see out, while protecting their privacy by blocking the view in from the double height reception below. Judge Katie Greenyer summarised: "It’s beautiful and it’s functional." 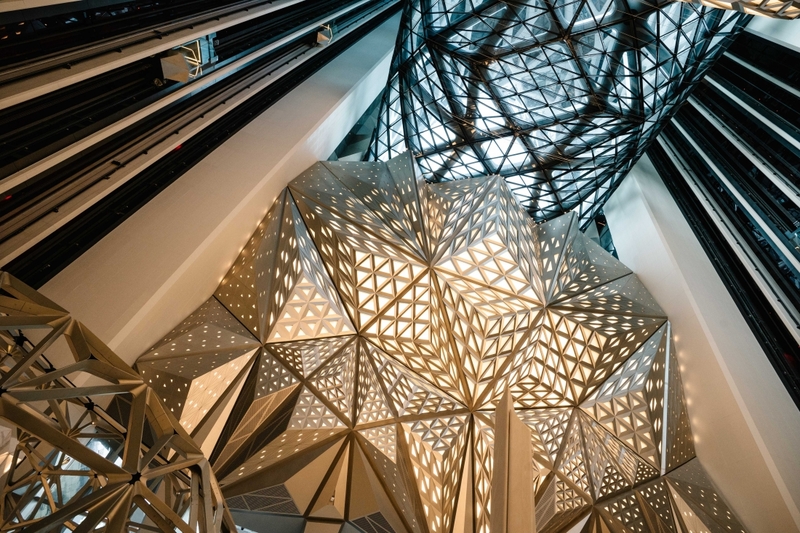 The Commercial Exterior category was won by the extraordinary Morpheus Hotel, a gargantuan project by Zaha Hadid Architecture and Isometrix Lighting Design. Two towers are bound together within an exoskeleton inspired by China’s traditional Jade carvings. Judge Paul Edwards said: "Looking at this makes you think – how did they do it?" 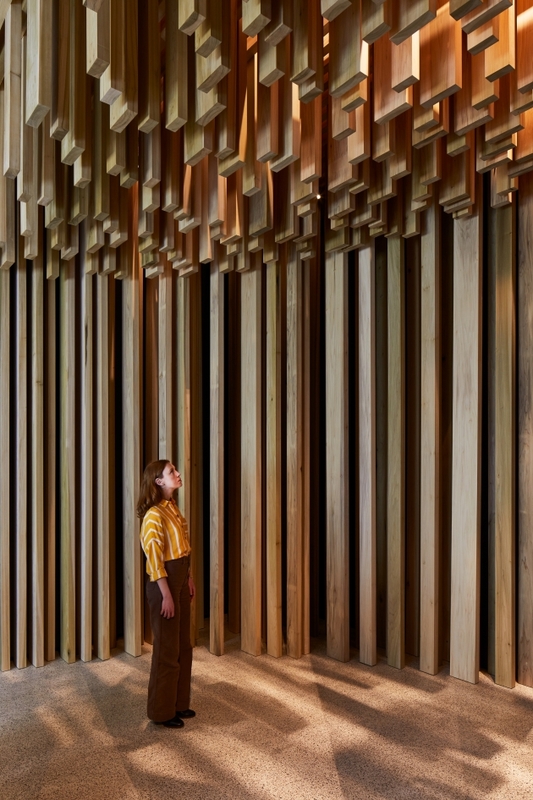 A large structure made entirely of timber, the TED Theatre created by Rockwell Group is a temporary, demountable and portable theatre which will be installed in the Vancouver Convention Centre. Inspired by structures that initiate events – scaffold, temporary structures, campfires – the theatre impressed the judges enormously. 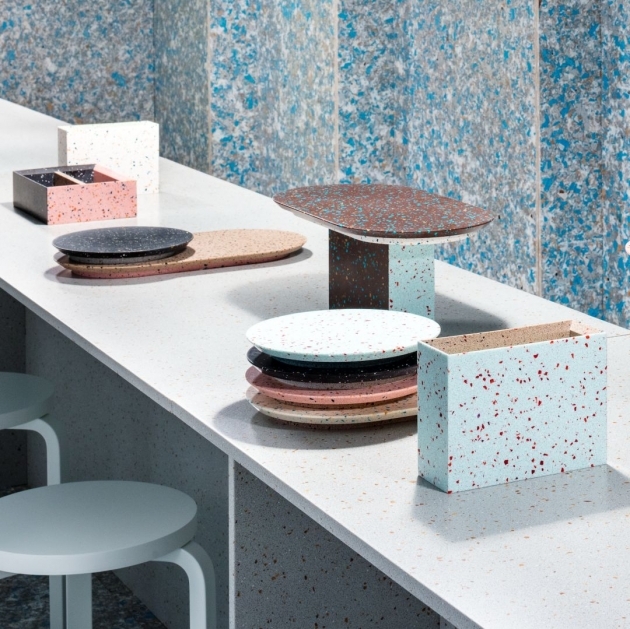 “I love that single use of a material. 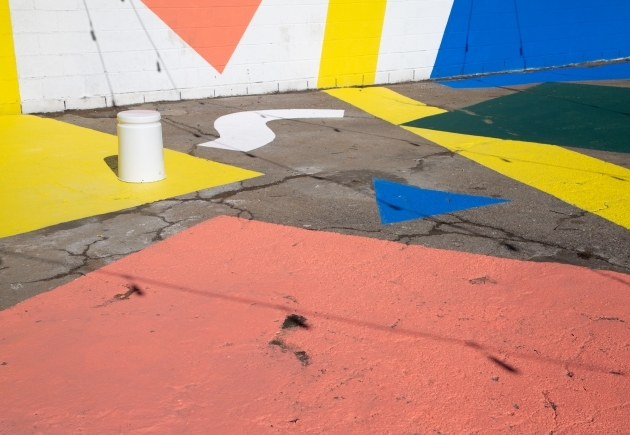 As a temporary structure, this is amazing," said Jeremy Offer. In the Sustainable Interior Surface category, the Hewitt Studios project by SGS Berkeley won. A large regeneration of a collection of run-down offices, stores, labs and workshops next to Berkeley’s redundant nuclear power station, the project has created a pioneering campus focused on renewable energy skills training. A conscious decision was made to use PEFC/FSC certified timber as a primary material to clad the interior, due to its myriad benefits. 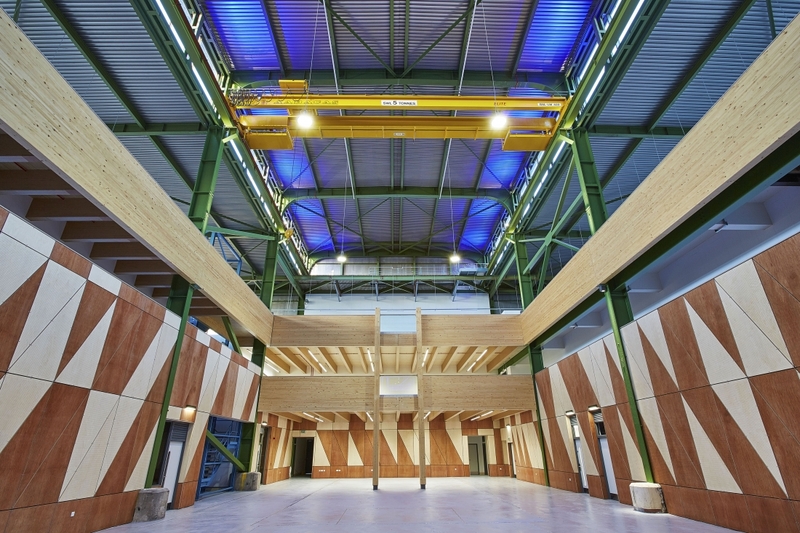 The complex existing structure of the building was 3D scan surveyed and the timber panels CNC cut to precisely fit – avoiding waste and increasing the speed of installation. The winner of the Sustainable Exterior Surface category was Cultural Village by Kengo Kuma & Associates. 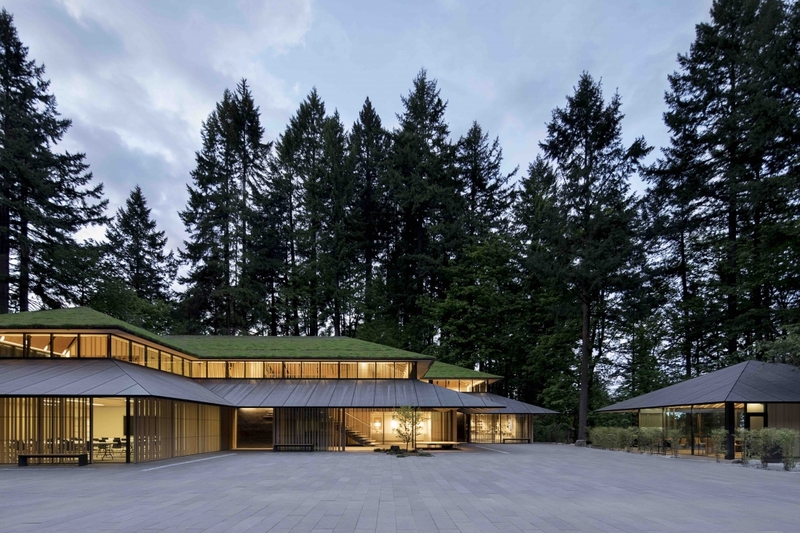 Enveloped in the Portland Japanese Garden, the building’s custom metal roofing is single skin, noncombustible, with no reportable VOC content, 100% recyclable and contains post-consumer recycled content. 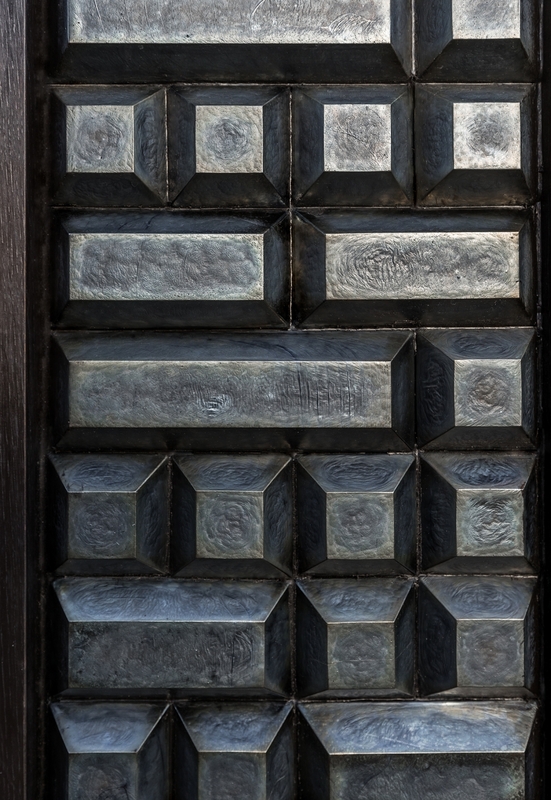 "The Cultural Village is very beautiful and reclaims aluminium as a material," declared judge, James Soane. There were two winners in the Light & Surface Interior category. Firstly, Morpheus Hotel, which created debate and all-around admiration across the panel of judges. "You cannot help but admire the mastery here. It is extraordinary. I’m drawn to it," said Cany Ash. 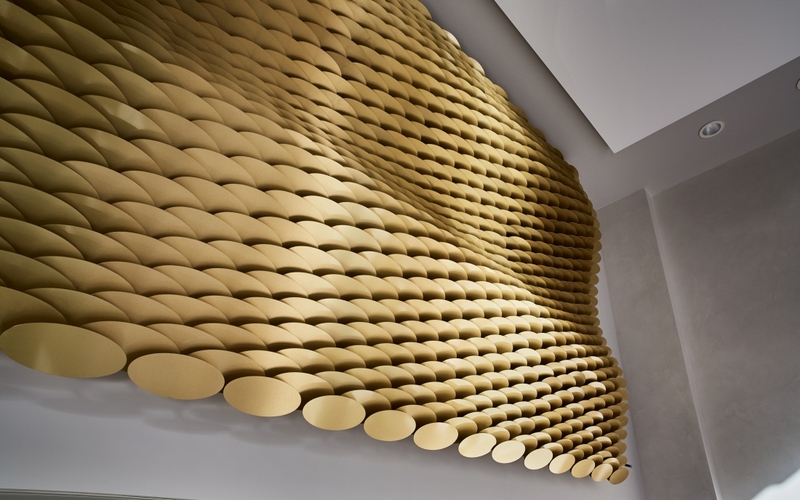 Agreeing, Christophe Egret added: "It creates a sense of awe and ambition, it is extraordinary." 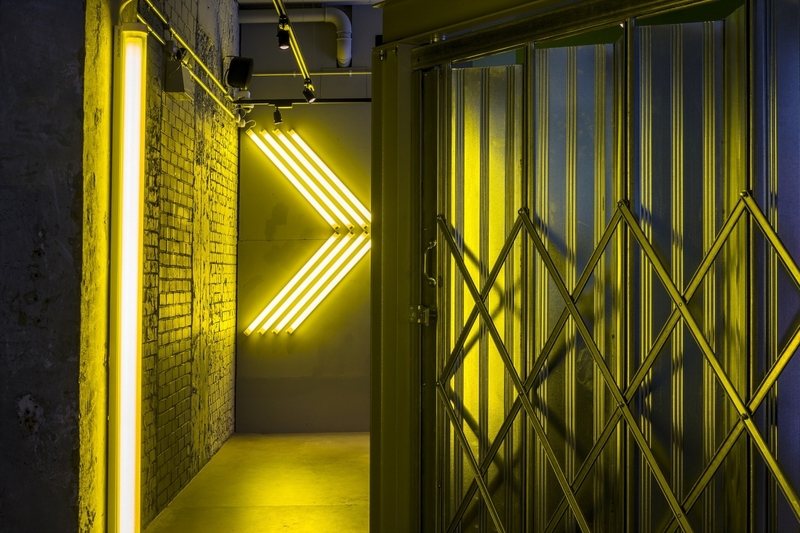 A central London branch of Gymbox, whose lighting was designed by Lightivity Lighting Design, shared the accolade. The design uses light throughout, for functionality in visibility, aesthetics, wayfinding and mood. 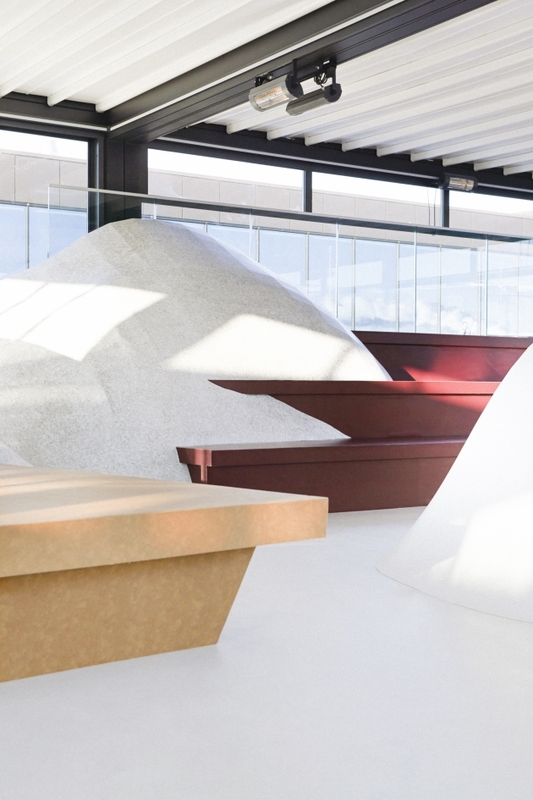 Various installations draw out the intrinsic appeal of the raw concrete and metal surfaces of the space. "The lighting makes the space feel infinite," noted Christophe Egret. Another category that had judges so torn that two winners were picked was Light & Surface Exterior. 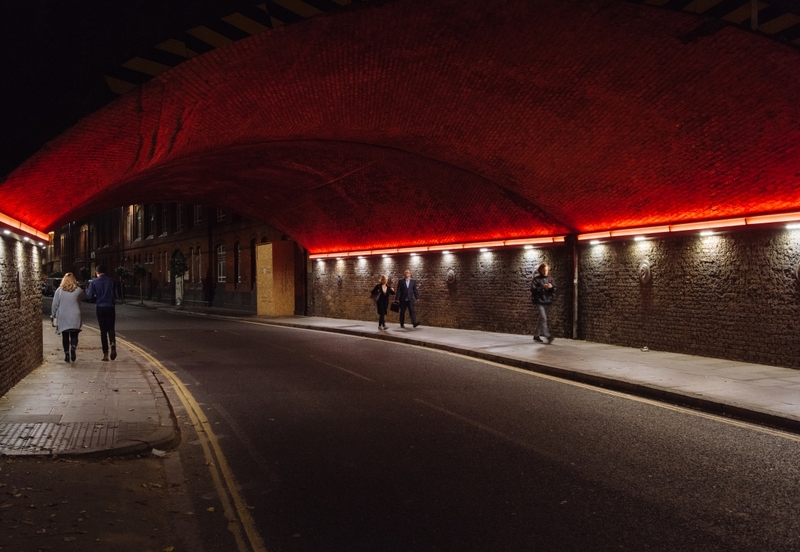 The lighting installation by Michael Grubb Studio in the Black Prince Road tunnel is a visual nod to the Black Prince’s Ruby – one of the oldest parts of the Crown Jewels of the United Kingdom. Christophe Egret was especially impressed, commenting: "I love this tunnel, the red defining the arch, making it feel warm and comfortable." AF Lighting’s Story Wall shared the winning position. 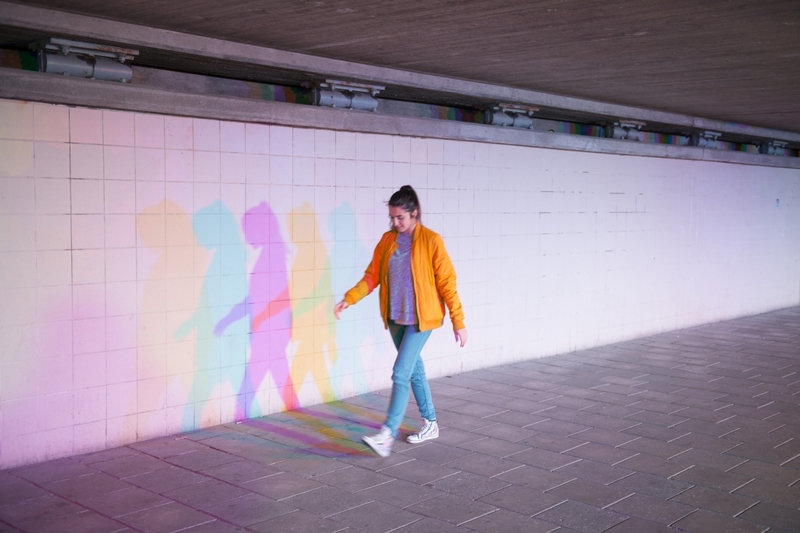 A simple and ingenious lighting solution, Story Wall is a lighting installation transforming a tunnel into a bright, safe and playful for passers-by. It has been noted that since installation the tunnel’s use has increased. Cany Ash commented, “It’s fun – I love it!". Fellow judge Jeremy Offer said of the immersive lighting design: "I like the use of human interaction, which is so rare." The winner of Housing Interior was Powis Cloud by Lily Jencks Studio. The project made smart use of materials to create a feeling of living up in the clouds. A simple, continuous curtain track creates a soft look & feel in the space. “There’s an ethereal feel in the top of the building. 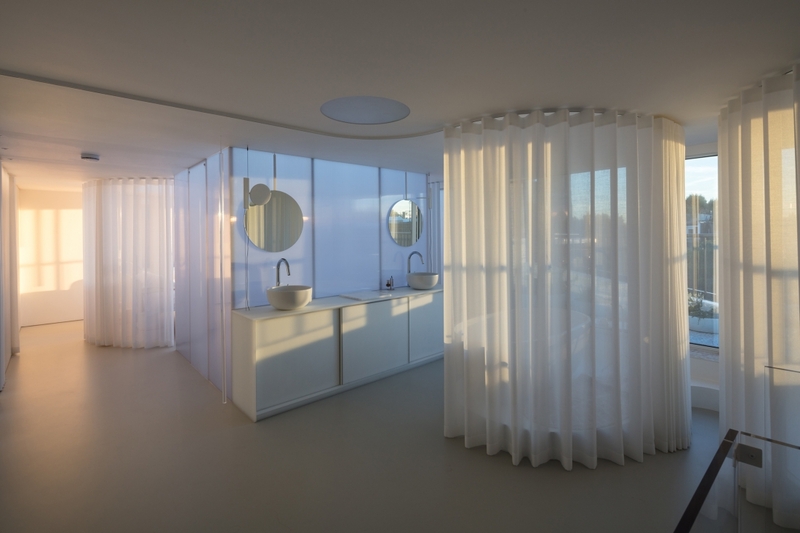 The natural light playing with the curtains makes it feel like you’re in a cloud," said Christophe Egret. The final category, Housing Exterior, was won by Fijal House, a project by Mole Architects. The fascinating use of serrated brickwork on the front elevation of this home was inspired by stone columns at the entrance to Ely Cathedral and an interpretation of Edwardian decorative brick. James Soane said: "This is a contextual residence that is completely other – it stands out, without shouting." You can discover the full list of winners at www.surfacedesignshow.com. Or simply enjoy browsing through the images below. Congratulations to all the winners!